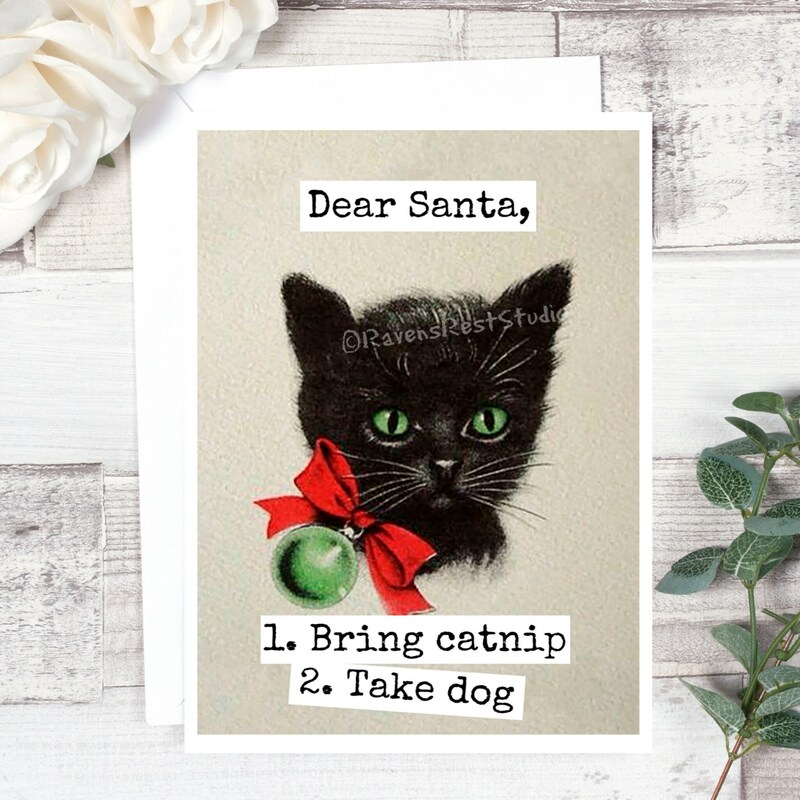 Funny Christmas Card - #C1 - Dear Santa, 1. 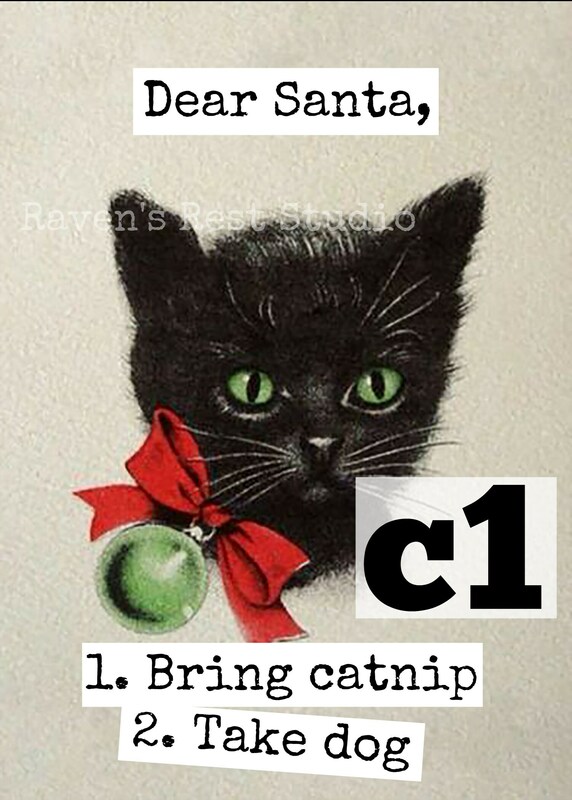 Bring Catnip. 2. Take Dog. Greeting Card. 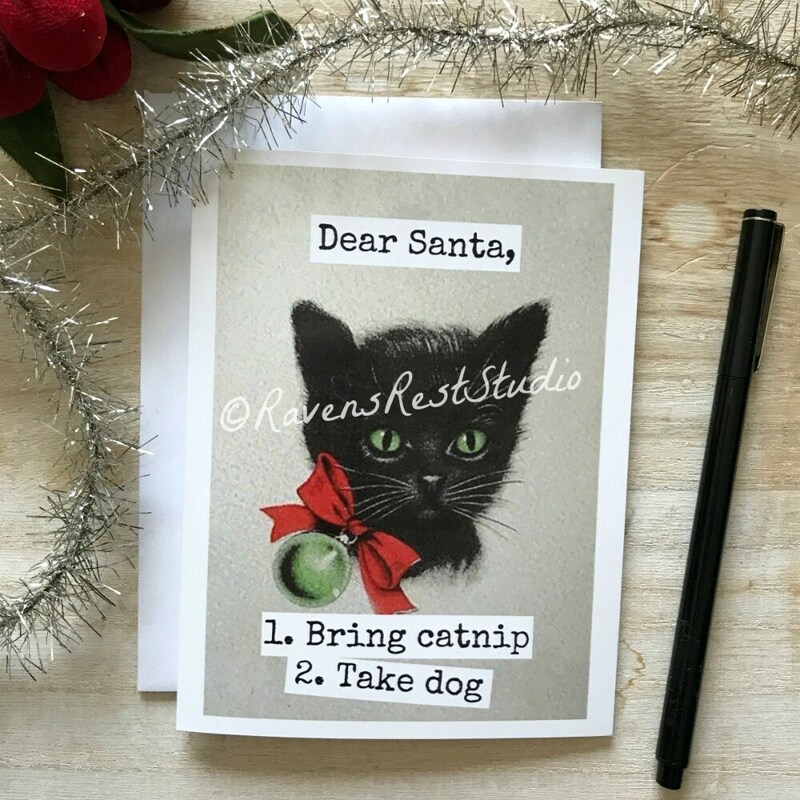 This card features a vintage Christmas cat and reads: "Dear Santa: 1. Bring Catnip. 2. Take Dog." ©Jennifer Conway, please do not copy or populate for sale.